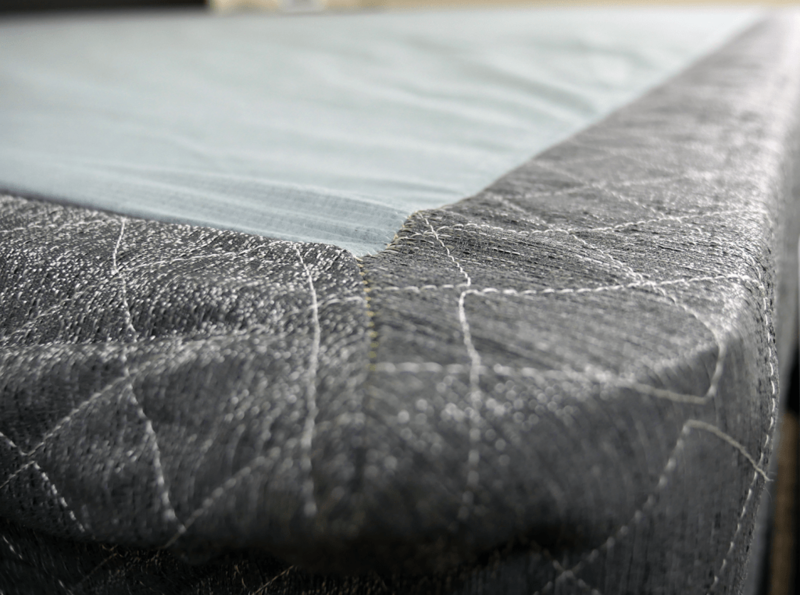 Wanting to change out your old box spring, but just can’t find the right replacement? Well it’s time to meet the new GhostBed boxspring foundation! GhostBed designed this boxspring with the intention of improving durability and support, while maintaining an easy assemble process. Does this mattress foundation live up to the expectations? Continue reading below to find out! Prefer a short version of the GhostBed boxspring review? Click here to jump down to the review summary. The GhostBed foundation is made up of 100% Canadian Spruce, structural lumber (the vertical pieces), and a fabric overlay. A total of 14 horizontal slats and 3 vertical slats make up the structure of this foundation. Each slat is about 1″ thick and sits 3.5″ away from the next. The wood is extremely strong and capable of holding 2,000 pounds. Additionally, the fabric overlay is built from of a combination of rayon (80%) and polyester (20%) and fits very tightly around the box spring. 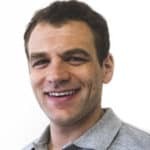 FAQ: Do I even need a boxspring? Additionally, the box spring sits 9″ high and can be placed on a bed frame, platform bed, or the floor. Assembling the GhostBed boxspring was not difficult, just a little more time consuming than I initially expected. My cousin assisted me in the assembly, which definitely saved some time. After removing all of the parts from the box I grabbed the directions and they were very clear for the most part. Probably the most confusing piece of the puzzle was determining which side was the left or right side of the foundation (very minor issue). After figuring this step out, the rest of the process was not too difficult. From start to finish the boxspring took us about 25-30 minutes to assemble. After lying all of the pieces in their respective positions, we began to screw in the wood screws. Luckily, we were using a power drill. Although the instructions say you only need a screwdriver, I highly recommend a power drill if you have one available. There are a number of screws and using just a screwdriver would prolong your assembly time. While screwing everything together, my cousin and I did not have the center piece lined up properly. Therefore, when we got to very end of the assembly our final slats did not line up correctly. Unfortunately, we had to unscrew all screws running down the middle of the slats in order to have proper alignment. In other words, be sure you have all of your pieces lined up precisely to avoid the mess we went through. While moving through the assembly we did notice there were about 5 pre-drilled screw holes missing. This was not a big deal, as the wood is thin enough to screw through it without a hole. Once we got all of the slats screwed into place we moved onto the fabric covering. This step was quite easy. The toughest part about placing this fabric onto the foundation was sliding it across the wood. A lot of the time, the wood grabbed the fabric and did not allow it to move much further. Once you get that taken care of, the foundation comes together for a nice, sleek aesthetic. All in all, the assembly of the GhostBed boxspring was about average. We hit a few bumps along the way, but none that made a drastic difference in our assembly time. If you are average in terms of assembling products, I would plan on at least 20 minutes to assemble this foundation (with a partner). The GhostBed foundation was designed with a high number of slats in order to provide any mattress with great support. I have been sleeping on this foundation for about a week now it has done a great job supporting my mattress. I placed the boxspring on top of my platform bed and felt like the support was just as good. The piece of fabric that covers the top of the foundation does a nice job of preventing any sag in the mattress as well. Noise was not a factor with the GhostBed foundation. This is a huge plus in my eyes. If a foundation creates a lot of noises while moving around on your mattress, it can very quickly become an annoyance. 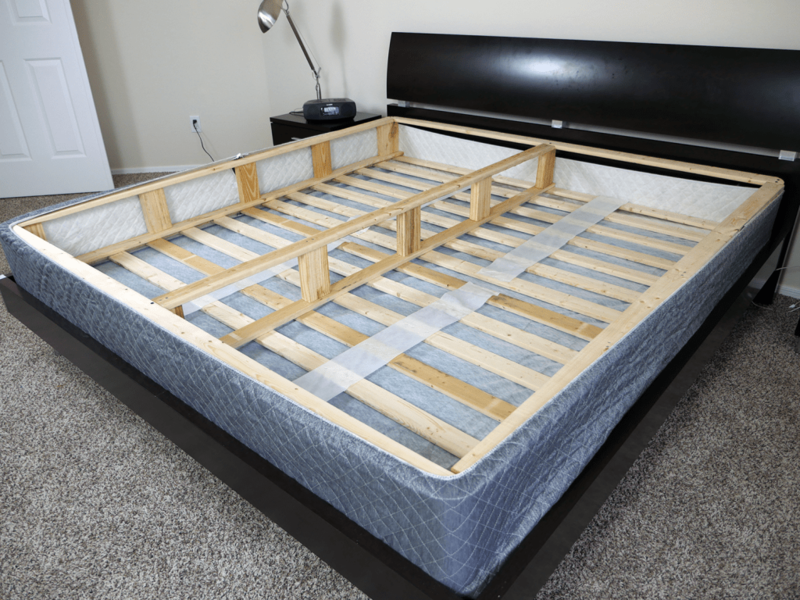 This boxspring does a great job of spreading the weight of the mattress, avoiding pressure in a individual spot, which is usually the cause for creaks and noises on a foundation. When plopping onto the mattress / box spring there were very minor creaks, which can often be expected when 150+ pounds is applied with force to a mattress / boxspring combo. After assembling the GhostBed boxspring I moved forward with a short series of durability tests. These tests were designed to provide clarity on how sturdy the foundation is from different angles, positions, and weights. Shake Test – when shaking and tugging all 4 corners of the box spring, it showed no signs of weakness. Everything seemed to be tightly connected and sturdy. All of the slats had 2 screws at major intersections creating a very durable surface. Sitting Drop Test – with this test, I dropped all of my weight (in a sitting / upright position) onto the mattress and foundation at 5 critical points. From each position, the box spring passed without any trouble. Standing Drop Test – this test was a more aggressive drop, as I placed all of my weight (standing) on 6 points of the mattress/foundation to determine whether or not the foundation would bend or show damage at all. With more pressure applied to a direct point, the boxspring still maintained its structure and was able to support all of my weight. Flop Test – lastly, the flop test. This test gives an example of how the foundation holds up after flopping (back first) onto the mattress from 5 different angles. As I gained momentum and flopped onto the foundation, I was surprised to experience virtually no movement whatsoever. There were a few minor sounds that came from the boxspring, but none that startled me to the point of worry. All in all, the GhostBed foundation passed my tests with flying colors. While applying my weight to several points on the mattress, the boxspring beneath it never showed any sign of give or a lack of support. Personally, I believe it would take a lot of weight and effort to do any significant damage to this foundation. GhostBed has designed what is a structural strong and durable foundation. Who is the GhostBed boxspring best for? 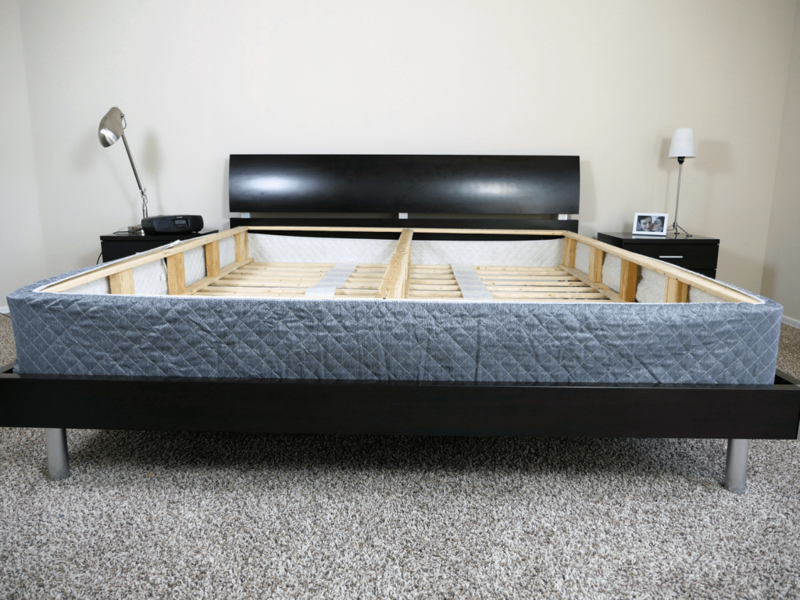 Want to upgrade from their old boxspring – if you currently have an older boxspring and are ready for an upgrade, the GhostBed foundation is a great option. Assembly is quite easy, the wood is sturdy, and overall the design has a nice aesthetic. Want a sturdy design – made from 100% wood, this boxspring is very sturdy and dependable. The GhostBed foundation passed all of my durability tests without any signs of damage. Prefer wood over metal – if you are a sleeper who wants to get away from metal foundations, which can sometimes create more noise, this is a great all wood alternative. Want more support under their mattress – this boxspring does a great job maintaining a high level of support for your mattress. 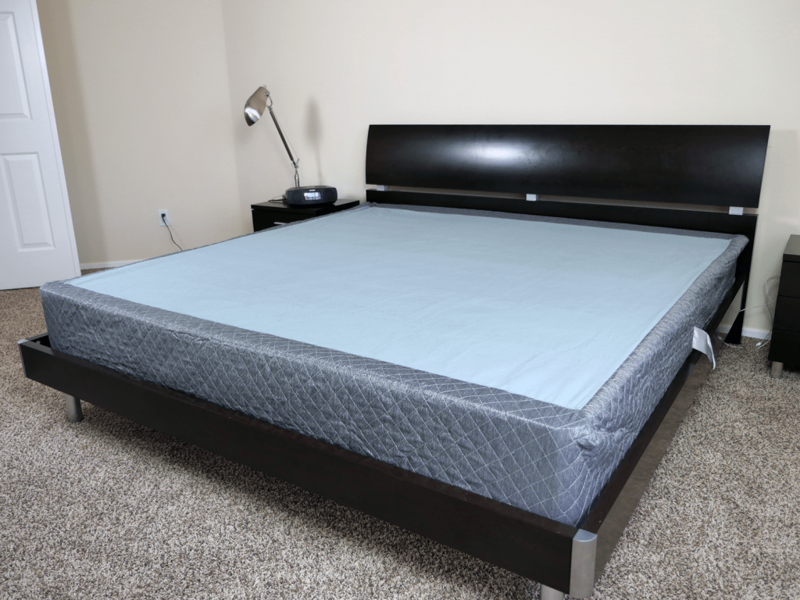 For those sleepers who are looking for a boxspring / foundation that provides balanced support across your entire mattress, the GhostBed boxspring is one that should not be overlooked. Looking for a little more information on the GhostBed boxspring foundation or ready to buy? Visit GhostBed.com. The GhostBed boxspring is impressive. Built from 100% Canadian Spruce, it is extremely durable, supportive, and not too difficult to assemble. The fabric cover consists of rayon and polyester and comes together to provide a nice, finished look for the foundation. If you are looking to get rid of your old and dingy boxspring, this one is an upgrade worth considering.